I finally had the time and weather decent enough to get in the garden on Saturday. 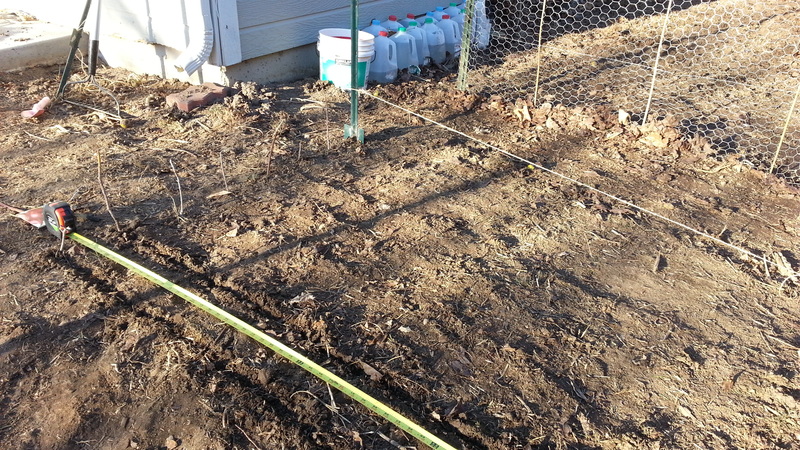 I spent a few hours mulching last year’s leaves, stems, etc., then I tilled and raked until I had a nice, smooth surface. 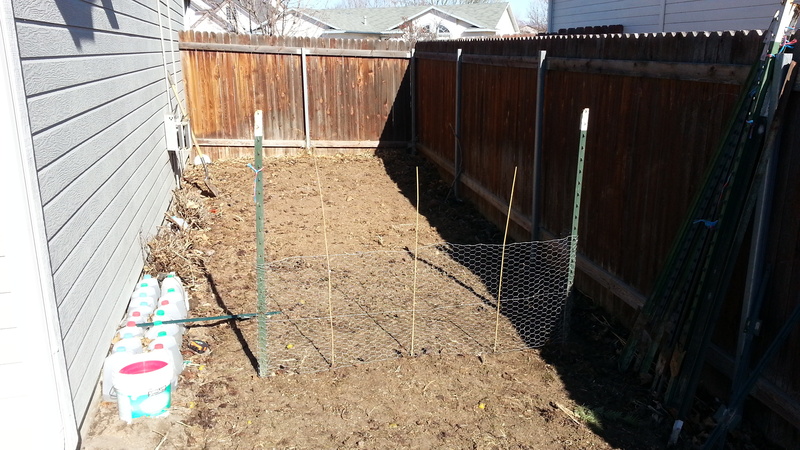 Since I had enough time, I decided to go ahead and plant peas. In Southwest Idaho, we are about eight weeks from the average last frost, which is a good time for peas to go in the ground. 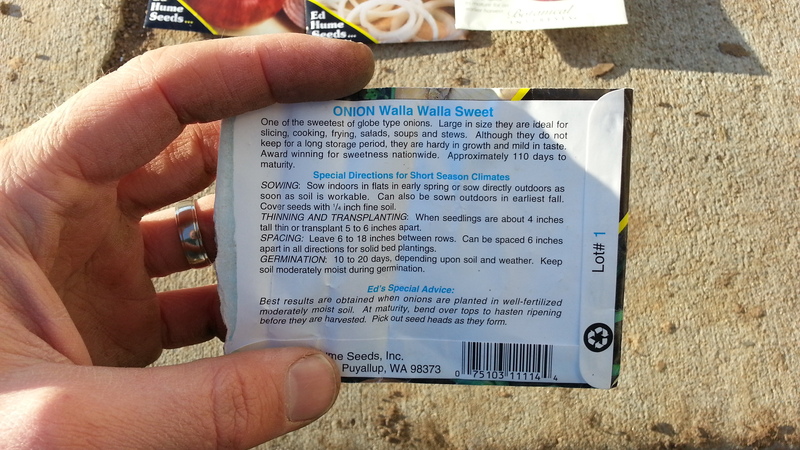 According to the instructions on my Burgess seed packet, peas should be sown “as early as possible in the spring.” This jives with other information I’ve read indicating that peas should be planted about 6-8 weeks before the last frost. 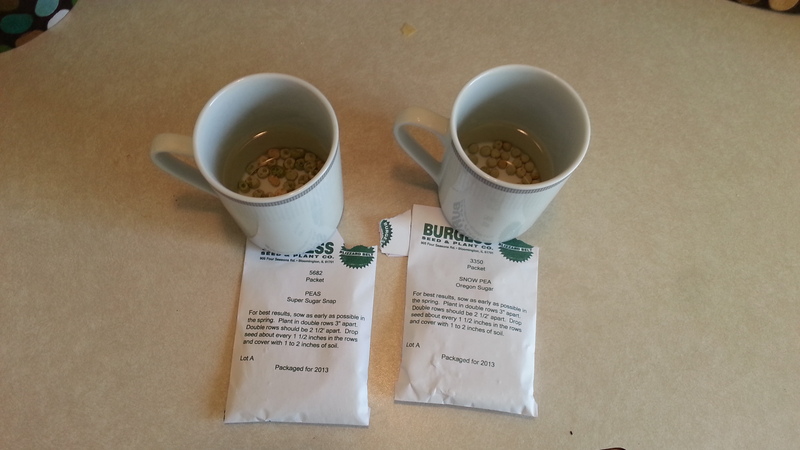 Peas like full sun, but it’s important to plant them early enough that they get a start on the summer. Some pea varieties can be planted in partial shade. Peas don’t need fertilizer as they produce their own nitrogen. Peas are fun because they are one of the first things to go in the ground. Certainly they beat all the post-frost plants like tomatoes, peppers, beans, etc. Peas need something to climb on. I use a couple fence posts connected by some chicken wire. 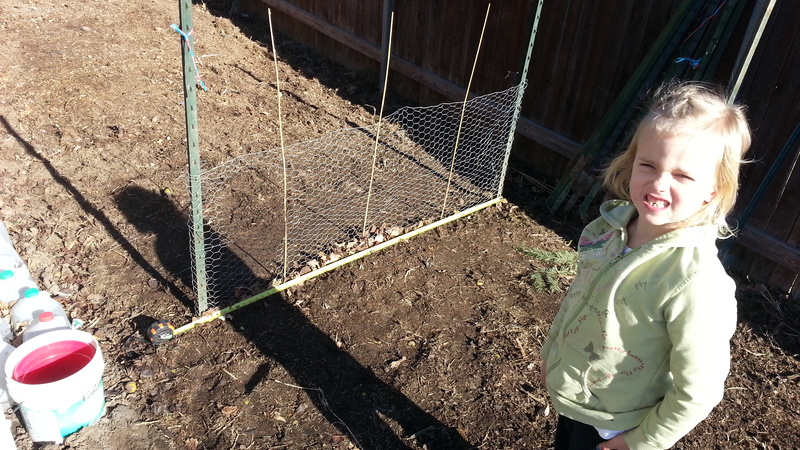 I place some bamboo sticks at intervals in the chicken wire to keep it steady and to allow the peas to keep climbing. I’ll probably add additional bamboo and twine later on depending how tall they get. 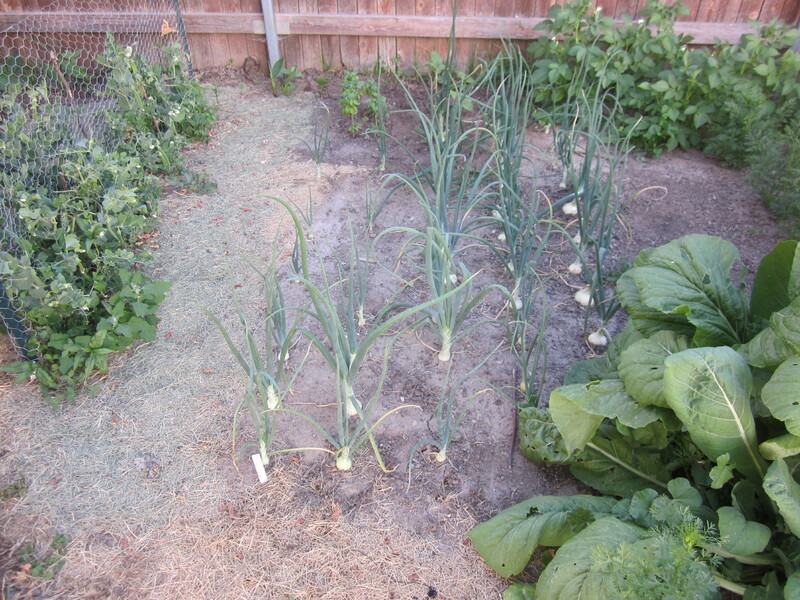 On the left side of this picture from last year you can see the peas clinging to the trellis. 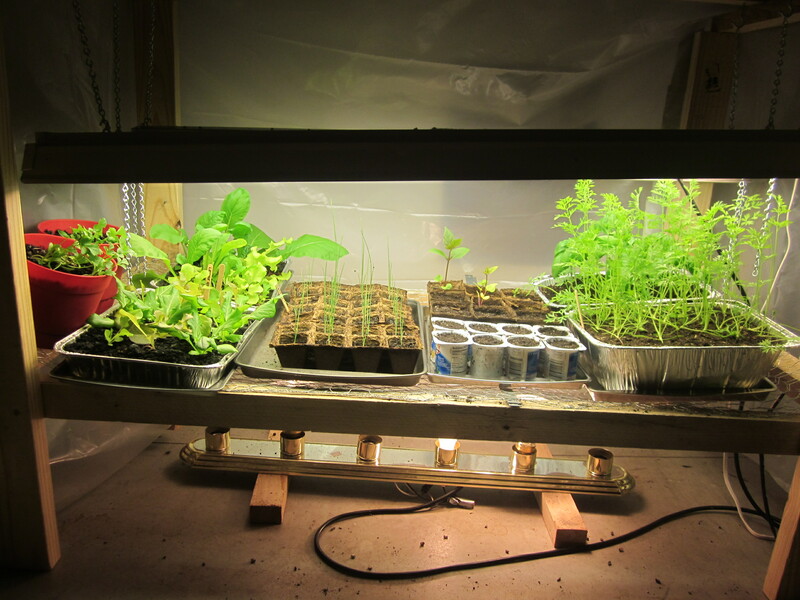 This year I’m planting sugar snap peas and Oregon Sugar peas. This way we can eat some whole and include some in stir fry. I’m the only one in my family that likes plain peas, so I decided not to go through the trouble of planting traditional peas this year (which I’d have to shell then eat myself). Before putting up the trellis, I started soaking my peas in water. I left them in for about 20-30 minutes. This ensures that the peas know it’s time to grow. My understanding is that if any float to the top, it means they aren’t good for planting. Peas can be planted in double rows, meaning two rows about 3″ apart. I plant a row on each side of my trellis. If you want more than one double row, then you’ll need about 2 1/2′ between the double rows. Plant peas 1-2″ deep. I use a stick or my finger to punch a little hole in the soil. Then I stick the pea inside the hole and pack it in. This year my 5 year-old daughter helped me by putting the peas in the holes after I punched each hole. 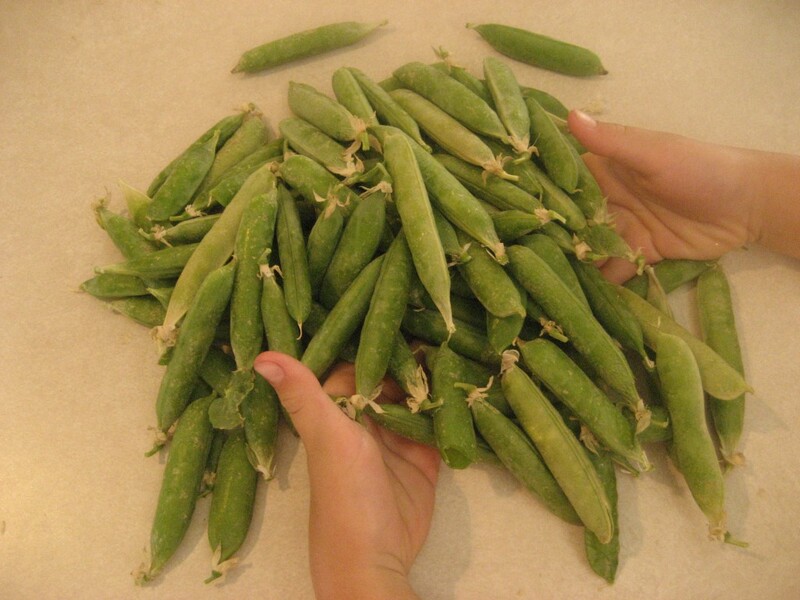 Separate the peas 1.5″ to 3″. I’ve seen some people say to separate them as much as 6″, but I’m not sure that’s necessary. It may depend on the type of peas you’re growing. 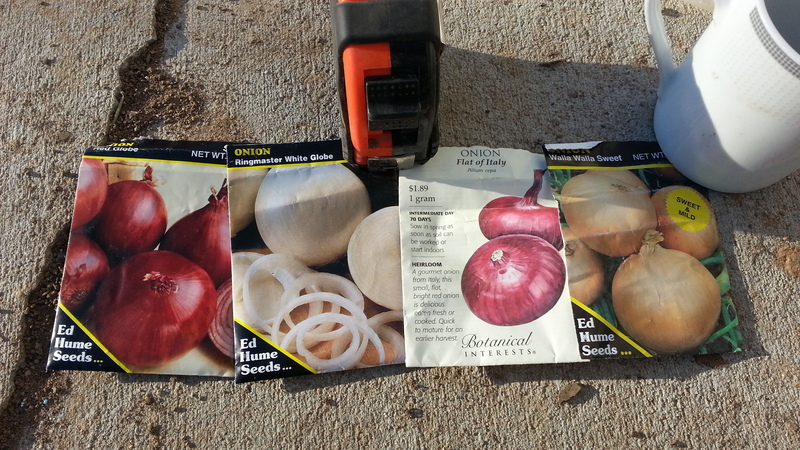 I lay down a measuring tape to help me judge where to put each seed (you can see the tape in the picture above). Now we just water and wait. Last year a flock of sparrows actually ate the leaves off my new pea sprouts (this made me furious). I suppose this is because peas are one of the first things to sprout in the spring, so the hungry birds probably couldn’t resist. The sprouts recovered, but it was certainly a setback. This year I plan on putting up a little netting until they are big enough to handle a few birds. 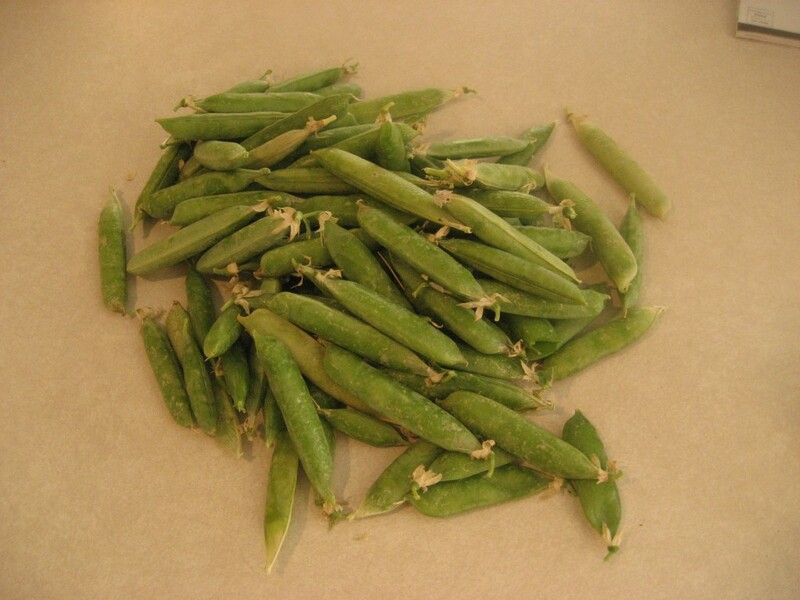 Here is a picture of some of the peas I harvested last year.